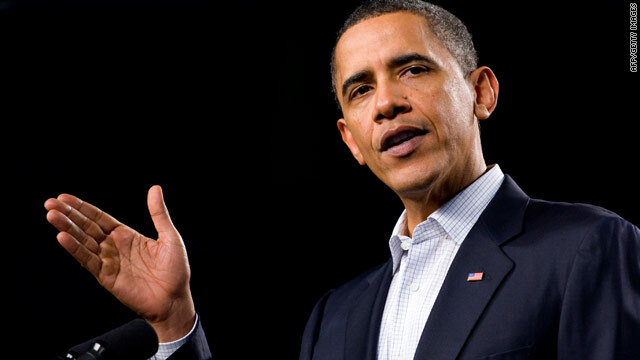 President Obama say growing a clean-energy economy will encourage American innovation. (CNN) -- The federal government will cut its greenhouse gas emissions 28 percent by 2020, President Obama announced Friday. "As the largest energy consumer in the United States, we have a responsibility to American citizens to reduce our energy use and become more efficient," the president said in a statement. "Our goal is to lower costs, reduce pollution and shift federal energy expenses away from oil and towards local, clean energy." Obama signed an executive order in October requiring federal agencies to set their goals for reducing greenhouse gas emissions within 90 days. The order also called on agencies to increase energy efficiency, conserve water and reduce waste, among other things. The White House said the executive order will lead to new private sector jobs and drive long-term savings. Obama stressed the importance of energy efficiency in his State of the Union address Wednesday, saying "the nation that leads the clean-energy economy will be the nation that leads the global economy, and America must be that nation." "We need to encourage American innovation," Obama said. "And no area is more ripe for such innovation than energy." In 2008, the federal government spent more than $24.5 billion on electricity and fuel. Achieving its goals for reducing greenhouse gas pollution would save $8 billion to $11 billion in avoided energy costs over the next decade, the White House said. The Obama administration is also pushing for comprehensive energy legislation from Congress that puts a price on carbon emissions, a "cap and trade" policy that uses market forces as an incentive for businesses to reduce carbon emissions.